Get your dance on. That's a thing people say, right? Contact missions offer players double XP and GTA$ in GTA Online this week—and they're not the only activities paying out generously. Terrorbyte-activated client jobs and Rockstar stunt races are also handing out double experience and in-game cash all week. 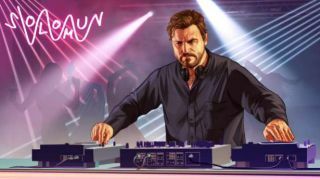 If you've been waiting to acquire a nightclub in GTA Online, they're all currently discounted by 30%. That brings the cheapest one on Elysian Island down to well below $1,000,000, which is pretty good value. That's the one I have, because it was all I could afford when the update launched in July. It's a little out of the way on the map, but that's why I travel there in my flying car, so I don't have to worry about all that Los Santos traffic. Alternatively, you could could just buy a more expensive (but still discounted) nightclub in a better location, negating the need for a flying car. Speaking of flying versions of vehicles that ordinarily belong on the road, fancy hover bike the Pegassi Oppressor Mk. II is discounted by 30% this week. It joins a host of cars like the Vapid Flash GT, Pegassi Tempesta, Pfister Neon, Pfister Comet SR and Pegassi Zentorno, which are also discounted. Their associated upgrades are on-sale, too. Both Pegassi vehicles make our fastest cars in GTA Online list, at positions five (Tempesta) and six (Zentorno) on lap times. Maybe that'll help inform your buying decisions. Meanwhile, all motorcycle clubs and their associated businesses and upgrades are discounted by 35% this week, if you've not yet moved into the lucrative world of GTA drug running. Find out more about what that pays out in our GTA Online money guide. All of this will help distract you from the cruel truth: there is no Red Dead Redemption 2 on PC yet.